I’ve split the table into 3 sections: technique, knowledge and songs. You have 4 spaces to write in below each one. The idea is that you fill in what it is you’re wanting to improve. For example you might have clawhammer, fingerpicking, rhythm and chords written under the technique section. Practice each one for 5 minutes per day and mark it down in the corresponding day when you’ve completed it. You can adapt the routine to be whatever you want it to be. It could be super specific or you could take a more general approach. Whatever you want to improve. 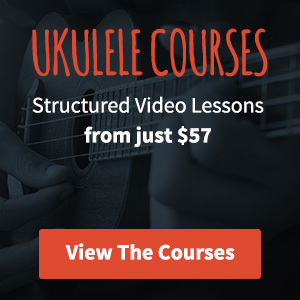 Hopefully you will find it useful, I know the idea of a practice routine sounds boring but it’s really really useful to have focus rather than just reverting to play what you know every time you pick up your ukulele. Sometimes it’s difficult to really know if you’re making any progress without any form of progress tracking. By filling in the practice sheet you should see a noticeable improvement over time. 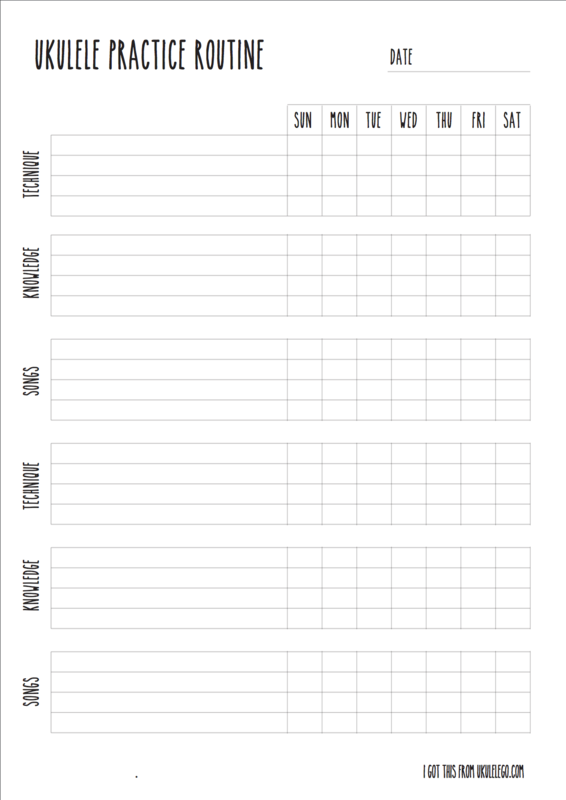 This is a great idea, especially for people who love to-do lists and use them to stay organized. What kinds of things would you put under knowledge? Thanks so much. I’m going to share it on my Facebook and Twitter pages for UkuLeeShee. Thank you so much Dave for making this. Do you work on each topic each day? I would like to practice for an hour.